When Rob's daughter was inspired to contribute to a mission project in Africa through her local church, she began thinking of creative ways to earn money. A few years before, Rob had inadvertently come across some pecan oil and filed the idea away as something to possibly consider down the road, if needed. His daughter thought selling pecan oil would be a good way to raise money for the mission project since her family has been involved in the pecan industry for so long. Amazed at her budding entrepreneurship, Rob immediately helped her get started selling pecan oil at the local Farmer's Market on Saturday mornings and her product was definitely a hit! In the early stages, he was sending pecans to a pressing facility, but once he saw how much local interest there was in the product, it wasn't long before he and Eric soon decided to invest in their own cold-press machinery and they now do everything from pressing, bottling, labeling, and distributing themselves from their own warehouse. 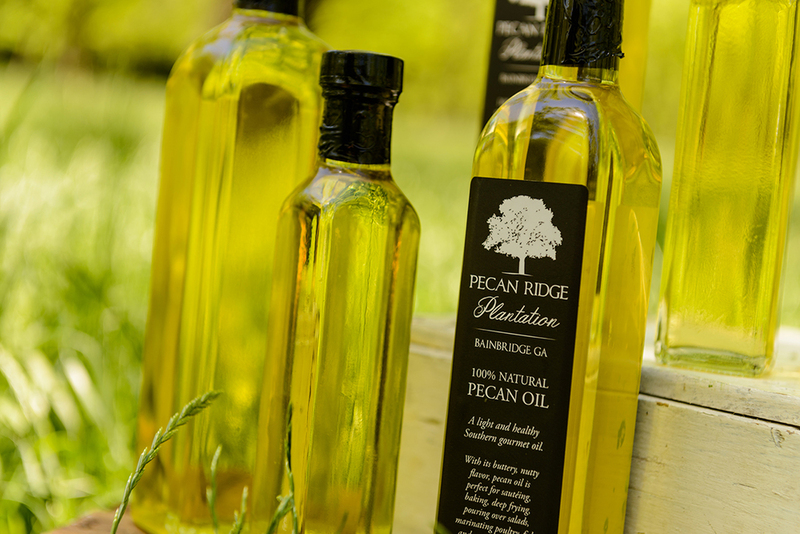 Pecan oil is a light and healthy Southern gourmet oil. With its buttery, nutty flavor, pecan oil is perfect for sautéing, seasoning, baking, grilling, deep frying, browning meat, pouring over salads, marinating poultry, fish, and vegetables, or as a butter substitute. It's mildness simply enhances the ingredients' natural flavors and can be used as you would use any other oil. To maintain freshness indefinitely, refrigerate after opening. Otherwise, use within six months for best results. Pecan oil is a healthy oil rich in monounsaturated fats, or good fat, and low in saturated fats, or bad fat. It actually has three times as much vitamin E and less saturated fat than olive oil (only 7 percent compared to olive oil's 14 percent). The smoke point of pecan oil is 470 degrees, which is higher than common culinary oils, making it ideal for cooking at high temperatures and for deep frying. Because pecans are full of vitamins, minerals, fiber, and antioxidants, research suggests using pecan oil may also help reduce heart disease. 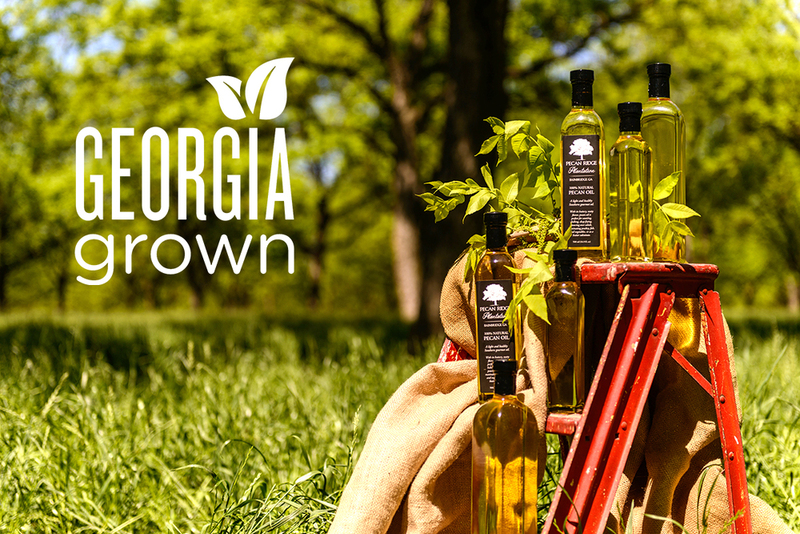 The Cohens cold press their unique brand of Pecan Oil in Brinson, Georgia. For more information or to purchase directly, contact Rob at (229) 726-2621 or by email addressed to PecanRidgePlantation@gmail.com. For a list of store locations, click here. 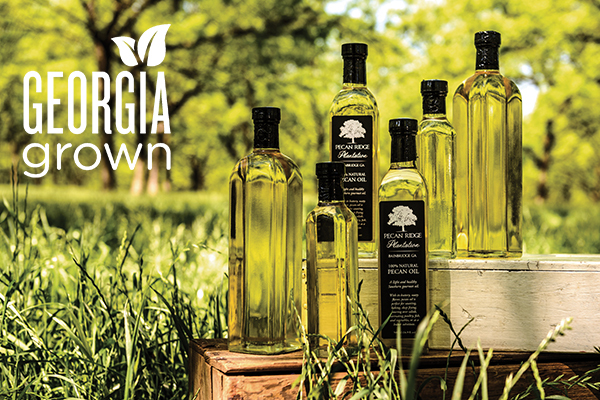 To learn more about our pecan truffle oil, click here.